A signed art reproduction print of Cooing. Other sizes are available upon request. 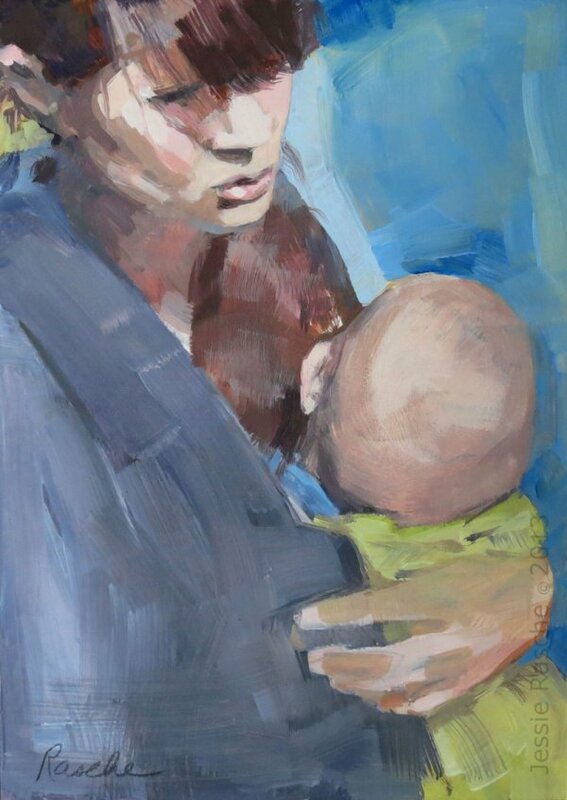 This is a painting of one of my favorite subjects, moms and babies bonding. I love how a baby can make the rest of the world disappear. I wanted to capture this without any sweetness added. Painting of mom and baby.